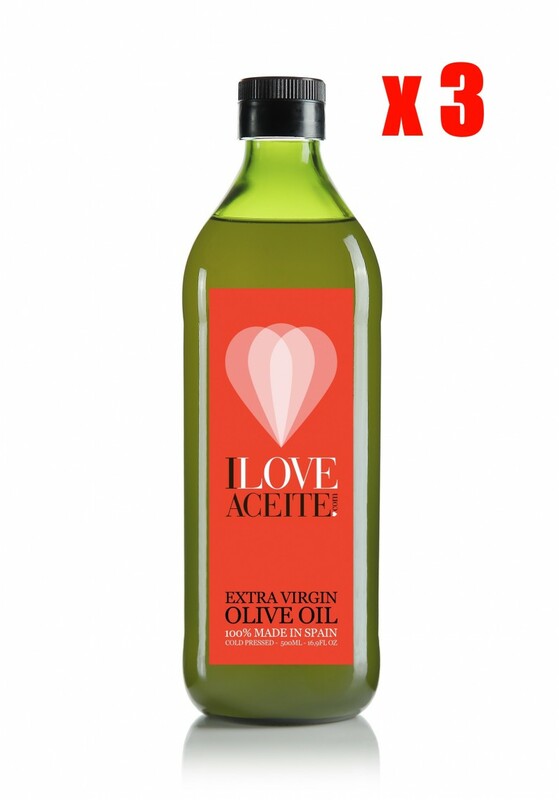 ILOVEACEITE RED LABEL 1 L | 33.81 fl oz | PET (3 UNITS) | Extra virgin olive oil (100% picual variety). Ideal for daily use. It is an extra virgin with a great body, a yellowish green and a medium intensity in bitterness and sharpness. Ideal to use at restaurants, hotels, etc., both raw and fried. It is an intensely fruity oil, without any flaw, with a pleasant smell of fresh-scented grass and a taste of fresh fruit. Among its best qualities stands out its resistance to rancidity, due to the significant amount of vitamin E that it has. Naturally gluten free and non-allergenic Deep green color, reminiscent of the olive color, well away from ripening. Penetrating smell, fresh unripe fruit, especially tomatoes. Naturally gluten free and non‑allergenic.